I hope you’ve gone through your WordPress website with a fine-toothed comb and fixed all the most common mistakes you could find. How do I know? Because I’ve found (and fixed) them for many of my own clients. Keep in mind that even though I’m labeling these tips as “advanced,” there’s absolutely no reason why you can’t tackle them. For example, did you know that you can make your Google ranking stand out by implementing tip #2? Or that tip #4 is essential to making sure your content reaches all of your audience? Of course, the best fix for this is to use a WordPress framework that supports and carries over custom CSS from update to update. There’s an easy way to connect your WordPress site to Google, as long as you also have a Google+ profile for yourself (which you absolutely should) — it’s called the Google authorship widget. Just enter your name, a bio, and your Google+ profile URL and the plugin does the rest, making sure that Google knows that this content is owned by you. And looking good on the search results page is just the tip of the iceberg. Keep reading Copyblogger for more about AuthorRank, because it’s promising to be a huge development in search engine optimization. AuthorRank will touch on a lot of different factors — and it’s going to be great for writers and other high-quality content developers. Mobile Responsive — These designs are equally at home on a desktop or laptop computer as they are on an iPad or smart phone. They automatically respond to the size of the device your audience is reading your content from, and are generally the fastest, easiest, and most inexpensive way to ensure your site looks its best across multiple devices. By the way, this is also the approach that’s recommended by Google. The no-brainer choice? Set yourself up with an out-of-the-box mobile responsive WordPress theme, and forget it. You can also use the %category%/%postname% structure, if you want categories to show in your URL. Thanks for this info. I think I can use #2 and #5. My permalinks are simply short number and letter sequences like “/?p=2341” or “/?cat=682.” The advantage to these is that they are short and simple for me to use. The disadvantage is that they don’t give a clue to what the post, category, or page is about. Yes, I’d definitely recommend changing those. You still get all the organizational benefits of WordPress, but with added SEO benefit (and a much higher likelihood that visitors will find their searched-for keywords in your post link title). Good luck! Also, FWIW, if you change from those default links to something cleaner, any existing links will automatically redirect to the new ones (since that’s the default underlying URL structure). No plugin or setting required. Yea, pretty urls are much better! And the good news is that the short url you have now will still work…so you can still give them as short links if you want! I can’t stand ugly permalinks! Keep it short and sweet. No need for the whole date AND title in the URL. I see a lot of clients do that and it just looks too messy, in my opinion. 2) You may not realize it, but the tags you put in your post go into the big Google-ator; your tags will help you rank in the search engines. Your best bet is to do a quick search using Google Keyword Tool, and find the terms people are using to find out about your topic. Then just take the top 10 and add those to your post. Add these not only to the post tags that are part of wordpress, but also to the SEO section of your post. Thesis, Studiopress, and probably other theme designers list this as “metakeywords.” There are also SEO plugins that let you add SEO stuff too. 3) Don’t forget to add a custom title tag, and meta-description when you write a post. These are also found in the SEO details when you write a new post. These will show up in the search engines when people search for that topic. Think of the custom title tag as a good lede, one that will entice searchers into reading your post. 4) Make sure your category names make sense. For example, “blogging” is too general. Better: “make money with blogging,” “setting up your blog,” or “how to write blog posts.” I’ve found that often the “search” function doesn’t do a good job of listing relevant posts. Good category names means it’s easier to find the information they want. Having a similar set up with landing pages for specific topics is also on my to do list. Roll on Christmas when I’ll have some time to sort them out. How many posts do you have on a page Rachel? Am thinking of limiting it to just five per topic. I have about 5 or 6 links per page. But sometime in the next few months I plan to change to a home page-as-landing-page, ala Copyblogger style :). Using category tabs as landing pages means people have to click through to a second page. I’d rather have my traffic land on a landing page (with a link to my posts), and hopefully that will give me better clickthrough rates. It’s just a pain in the neck to configure. Number 4 is something I can relate to. I definitely need to think about getting a mobile responsive theme. I am pretty sure I have seen plugins that do the same thing. I also agree with the ugly permalinks. In one of the more recent WordPress updates they have included the option to use your post name (rather than having to type %postname%). Therefore, there shouldn’t be any reason for bloggers to have ugly permalinks any longer. Since I run a food blog, I use categories to designate types of recipes (breakfast, lunch, chicken, soup, etc.) and then I use tags to tag specific ingredients (onions, cheese, etc.) This allows me to create a cool page where all my recipes are indexed by ingredient. It’s one of my favorite pages on my site thanks to a well-organized tag structure. That’s the perfect way to use tags correctly – good job! Nice, very helpful post, Sherice; thanks! I landed here looking for the why or why not related to the use of WordPress categories versus WordPress tags. Nick, your page, http://www.macheesmo.com/ingredients/ is the perfect example which pretty much nails it in my book. Thanks for sharing it, too. Rightly said. Most of the bloggers still haven’t applied for Google Authorship. Once approved by Google this may take your blog up to next level and can help to get more traffic. We’ll be talking lots (and lots) about this in 2013. Recently I discovered Copyblogger and I have to say congratulations, it’s fantastic. Regarding the article today thanks for teaching a little more each day. Good stuff here. The only one I hadn’t done was backed up the CSS, and I’m going to take care of that one, as I never thought about it. Yeah, more and more people are inserting Google Author meta information into their web pages/blog posts. But it doesn’t look like you have that on copyblogger.com – Is there a specific reason for that or have you just not implemented it yet? Smart advice! I made mistake #3 big time when I started my blog and created new categories for everything (I was a bit mixed up on the difference between categories and tags). It was interesting to clean up but made a huge difference in how clear my structure was and in how visitors navigated through my site. This is good advice for me because I plan to redesign my websites this month. I am switching over to a couple of new and beautiful themes by Studiopress (yeah! ), That should take care of being mobile responsive and the CSS issue. But I can add changing the categories and tags to my list of things to fix. I am wondering how it could affect your SEO or Google rankings to delete categories or tags. When I;m writing a post and picking a category, you can create sub-sections. Is that a good idea or not? I think keeping the admin username is a big no no in WordPress setup. I definitely agree on that! Very interesting info on categories versus tags. Never realized that. Will definitely take that to heart. thanks. Wow! Great article. I’m just learning about Google Authorship but haven’t taken the plunge yet. I don’t handle most of these issues on my blog – my son does. So I forwarded the link for the article to him! Thanks for the info. Fantastic blog. Thanks for the information. A lot of it makes sense actually. I don’t have my css backup now i will do it. I have a question about category .If i use same post of my blog in different 2 categoris for example .. 10 social media tips is a post and i have 2 category say — Social media and Top 10 .. Can i use 2 category for single post? Can i use my google+ page in that? or should i have to use my profile urls only. Great post. I love the input on Responsive Websites. A lot of people nowadays overlook the fact that a high percentage of their viewers come from mobile/tablet platforms. Currently I am moving all my clients to responsive websites and have noticed a positive difference in website analytics. Thanks for the reminders, especially about tags and categories. In my experience, I’ve had to counsel folks on too many tags. Because tags are so open ended, I’ve had clients add tags liberally, then end up with some tags that only related to one post. It’s too easy to treat tags as an alternative to the keyword meta and just throw lots of words in. I can’t think that this wouldn’t dilute the value of tags overall. Incredibly useful, Sherice. I leave #1 to the tech guys. I think I’ve solved #4 with the Genesis framework and one of their child themes. Will definitely give some attention to the others. This is worth a bookmark. Many thanks. I can’t lie, I’ve definitely made every one of these mistakes before. I’m just starting to make use of the Google Author Rank system because it’s not something I was privy to. Guilty of #2. Glad I read this article. Thank you. #5 I’ve been using %postname% but just going with the default URL. Now I see what you are saying about cleaning it up so that it’s not “ugly” anymore. Something to do with future blog posts. 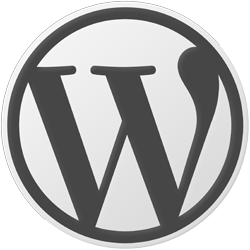 WordPress can be tricky but is definitely better than coding a website yourself! Excellent post! Thanks for #5. It will be shorter and less crowded. I should do the #1 too. I learned to back up CSS after updating a theme and losing changes that I’d made to CSS. Thanks also for the distinction between categories and tags. A good insight into AuthorRank and its future anticipated development, thank you Sherice. Also good points about CSS and explanation as to what a permalink actually is. The comparison between mobile responsive and mobile optimized is very useful and the out of the box choice you provide is a bonus. A bit of work to do on my site then! Lots of good information that I didn’t know. Thanks for bringing this to my attention. So much useful information in this post for me and my WP devs team. We’ve been designed and developed WP jobbboard theme for users. In the past, we usually made the 1st and 3rd mistake, but now everything is fine.Really appreciated your for writing them out. Am looking for another post like this. Aha! And just a few months ago, everybody was wondering what fell on top of Google’s head to make them create Google+. Anyway, nice post. I’m definitely going to do something about my permalinks. I think you permalink tip is the most powerful of the 5. I like to use /%category%/%postname%/ personally. There are a bunch of standard mods I like to make on a fresh WP install, however, I’d like to piggyback off your category tip. Rename the “Uncategorized” category. It’s set as the default out of the box and I see so many blogs posted under “Uncategorized”. Re. “uncategorized”, I like to have a category called “everything else” or “misc”. Sounds better than “uncategorized” and somewhat forces you to choose one. The number 1 WordPress offence I see is not having any system in place for backups. Lots of great plugins worth checking out. As it stands now, my WordPress is backed up, along with all content and all media, to an external server, once a week. And I don’t even know it has happened. Don’t learn the hard way what happens when you lose your data. Stephen, great point. I use the “Simple WP Backup” plugin to quickly create a database backup manually, however, I’m interested in learning which plugin(s) you are using to back up the database & files on a schedule. It’s just happened that I’ve been hearing a lot about WordPress backups lately everywhere on the blogs that I’m reading (it’s a holiday theme 🙂 and I heard great things about the BackWPup plugin. I will have to look into that myself. I’d also recommend watching the plugins you add and the updates to them. I updated a plugin and my theme went haywire. Excellent tips. In addition to backing up my css, I also download a plugin to backup the database, which should definitely be done for obvious reasons. I also change the media settings so that it doesn’t include the month, day, and date of when files are uploaded. Having your logo image tag display the date of when you uploaded it is terrible in my opinion. And don’t forget to backup your wp-config.php so that all of your database connection string info is backed up in case you lose it. I’ve had multiple times where this tip has personally saved me. As a matter of fact, there’s multiple plugins you can download to backup your database, configurations, stylesheets, themes, etc. Regular backing up is the safest way to develop in anything, especially wordpress.